There are several different species and varieties of Asparagus Fern that have been grown as house plants since the late 19th century because they are are one of the fastest growing, least demanding, easiest to care for plants for growing indoors. Asparagus Ferns produce tiny white flowers in late summer to fall, and will occasionally form red or black berries. They can be trained to cascade down from a hanging planter, or to grow up a totem as a vine. The asparagus fern plant (Asparagus aethiopicus syn. Asparagus densiflorus) is normally found in a hanging basket, decorating the deck or patio in summer and helping to clean indoor air in winter. The asparagus fern plant is not really a fern at all, but a member of the Liliaceae family. When growing asparagus ferns outside, place them in a part sun to shady location for best foliage growth. While the asparagus fern plant may sometimes flower, the tiny white flowers are small and not necessary for the beauty of growing asparagus fern. Growing asparagus fern is easy. The frilly, feathery asparagus fern plant appears soft and fuzzy, but when taking care of asparagus ferns you may be surprised to find they have thorny spurs. This, however, is no reason not to grow asparagus ferns, simply wear gloves during asparagus fern care. Asparagus fern can provide small flowers and berries when it is happy in its location. Berries can be planted to propagate the asparagus fern plant. 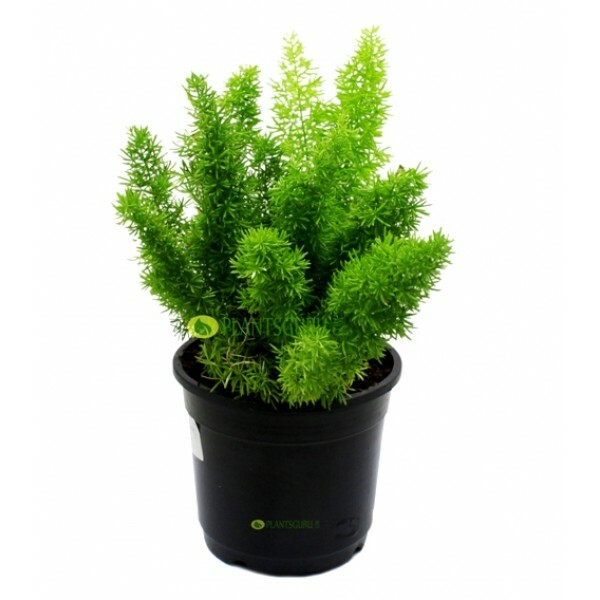 Medium green, cascading foliage that will quickly fill a container can be expected when growing asparagus fern. Growing asparagus fern indoors takes a little more effort. Humidity is necessary and indoor areas are often dry because of winter heat. Mist the plant daily and provide a nearby pebble tray to keep the tiny leaves from turning brown and dropping. The fern may dry out to the point it appears dead; however, outdoor springtime temperatures generally revive them. Keep well watered in all situations and repot every few years. Care of asparagus ferns indoors involves misting the arching stems to provide humidity to the plant. 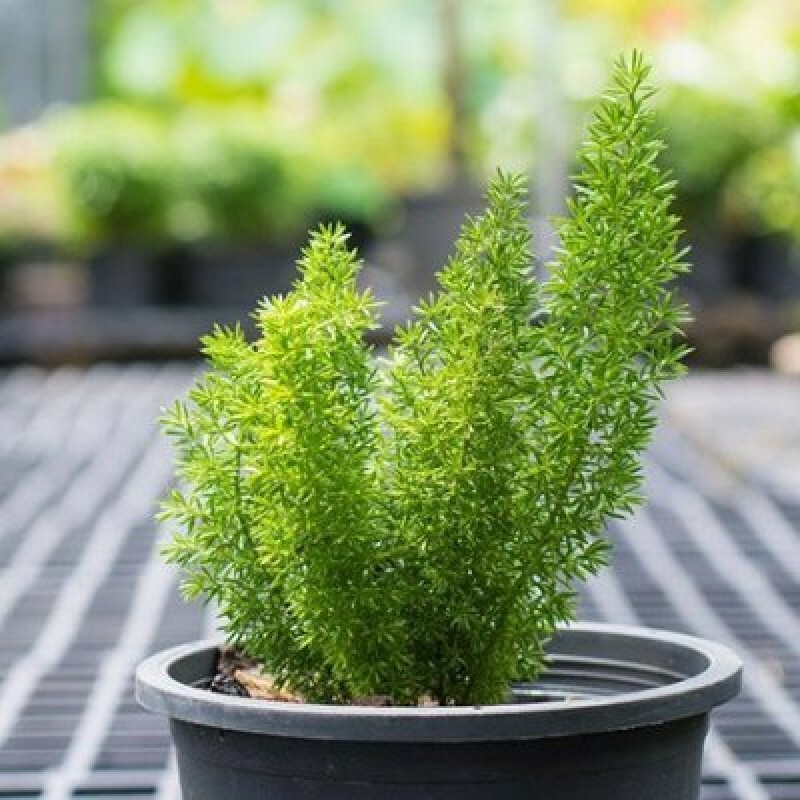 When you grow asparagus ferns outside in summer, asparagus fern care involves watering, fertilizing to encourage growth and occasionally pruning out dead stems. Asparagus ferns prefer to be pot bound, so yearly division is not needed or desirable. Combine this reliable specimen with summer blooms and foliage plants for an attractive container. A spiky, shade loving plant does well at the center of the pot, surrounded by the cascading branches of the asparagus fern.